It's no secret that I suffer from spot pone skin, it's something I've spoken about multiple times on this blog, and one of my favourite brands that helps me deal with this problem is Witch Skincare, their products have been a staple in my skincare routine since I was a very young teenager, I've even posted about my spot fighting dream team which included two of my favourite Witch products. So when Witch got in touch and asked me to take part in the Switch to Witch challenge I had to say yes. 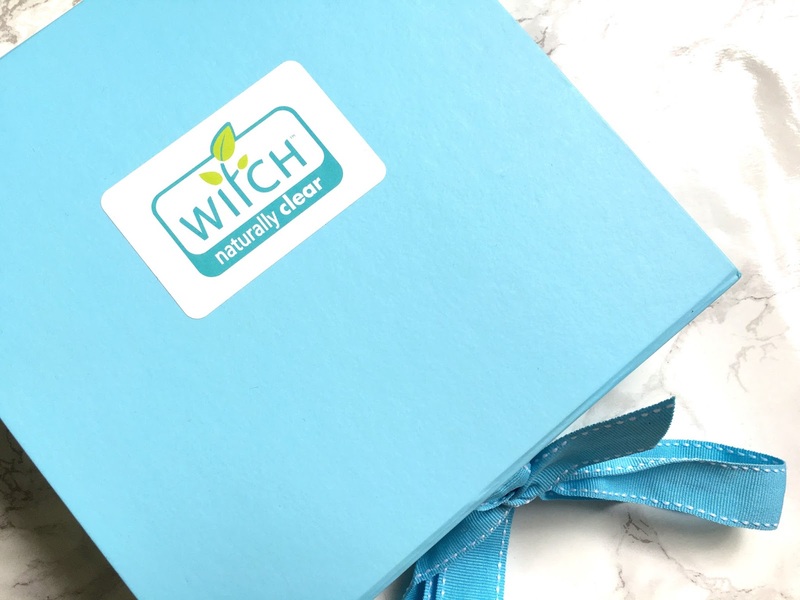 Witch are big fans of switching things up, not only your skincare but also changing your outlook on things or trying out a new look. 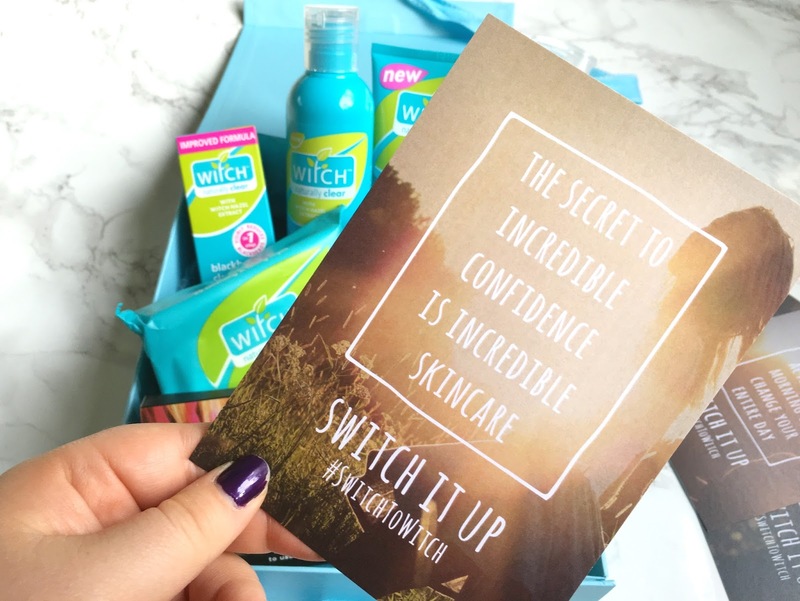 So along with providing me with the products I need to give my skincare routine a switch up, I'll also be taking part in their other challenges, so keep an eye out for blog posts, instagrams and tweets with the #SwitchToWitch or #SwitchItUp hashtags. Along with all the Witch products for my skincare switch up, they've also included some other bits so I can switch up other areas of my life. 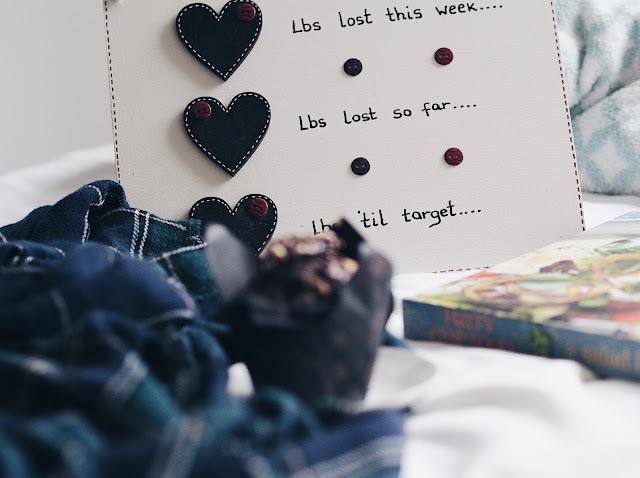 The Hair Chalks, Mindfulness book and the £20 Asos voucher were included along with 5 tasks cards challenging me to various things to help me switch things up this Autumn. 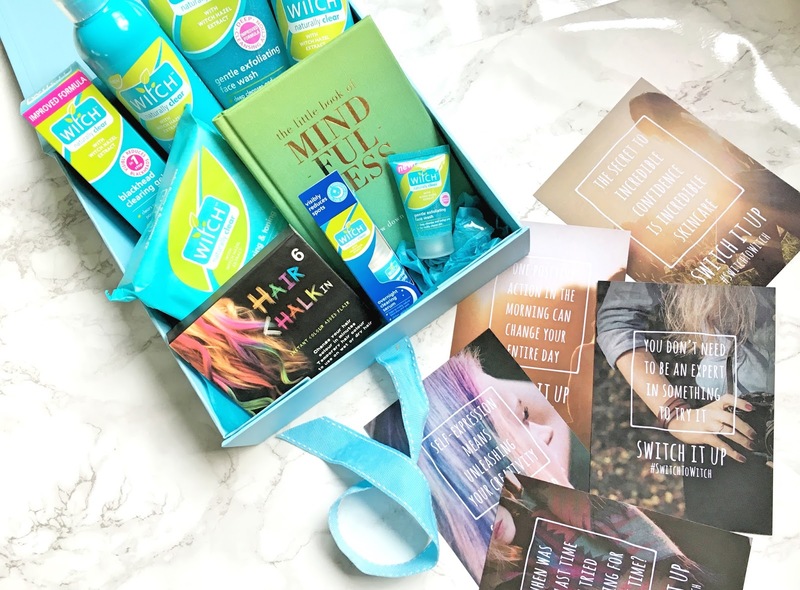 So along with giving my skincare a fresh feel, I'll also be getting creative with hair chalks, embracing my mornings and pushing myself out of my fashion comfort zone! The kit of course contains a whole bundle of Witch Skincare products, included lots I haven't tried yet and some brand new products. The Blackhead Clearing Gel is something I'll definitely be trying out as I've yet to find anything to effectively gets rid of pesky blackheads, they also included their Gentle Exfoliating Face Wash a brand new product. Along with this was a pack of their Cleansing & Toning Wipes, their Cleansing Lotion and the Oil Control Foaming Face Wash. I also received some sample sizes of their Overnight Clearing Serum. 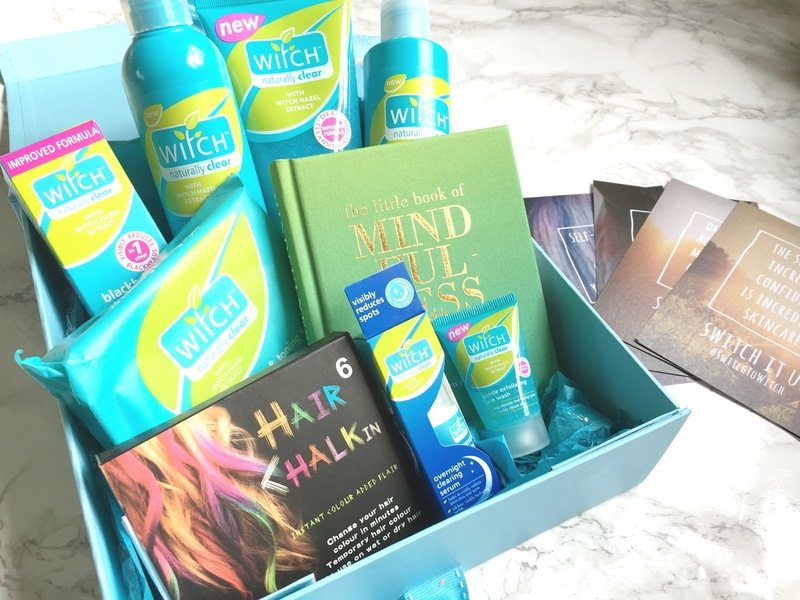 Being the lovely people that they are, Witch have kindly given me the opportunity to give away a #SwitchToWitch box to one of my readers! 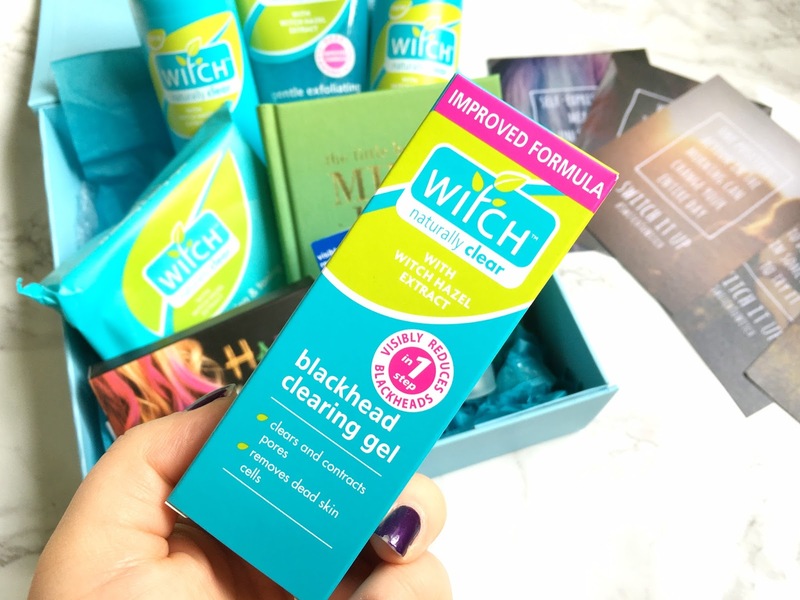 So if you'd like to be in with a chance of winning a box of Witch goodies to switch up your skincare then enter the rafflecopter form below. The giveaway is UK only and the full terms and conditions are at the bottom of this post. 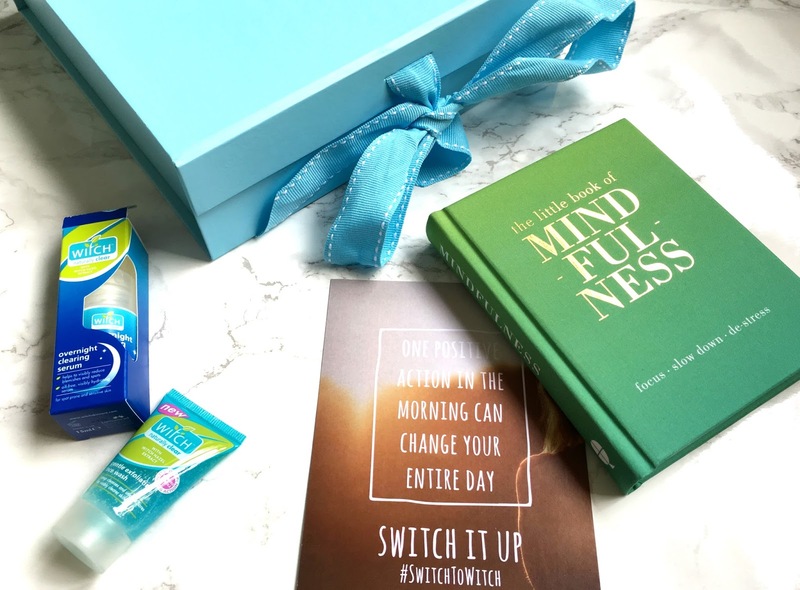 *Witch provided me with this #SwitchToWitch box and are providing one to give away. All thoughts and opinions are my own. UK entrants only. Giveaway will run for 3 weeks from 12:00am 26th October 2015 to 12:00am 17th November 2015. Winner will be randomly selected through Rafflecopter and must have completed all mandatory entries. The winner will be contacted via Twitter or email within 7 working days of the competition ending. If the winner does not respond within 5 working days a new winner will be chosen. Witch Skincare will provide and post the prize themselves on receiving the winner's details from myself. I hold no responsibility to provide a prize in the situation Witch Skincare can not.